NOUVELLE l'exposition LangdonArt commencera à la Galerie 2456 les 2 expositions de peintures créées par Artiste LangdonArt 22 avril au 12 mai 2019 et 7 au 20 octobre 2019 chez la Galerie2456, au 2456 rue Beaubien Est (2 pas du Cinéma Beaubien, face au Parc Molson), dans Montréal pour découvrir et collectionner des magies sur toile créées par LangdonArt. April 18 to May 8th 2016 Langdonart paintings exhibition inviting you at Galerie2456, in Montreal, at 2456 rue Beaubien Est, (2 left of Cinema Beaubien, front of Molson park), every day 10 a.m. to about 9 p.m. (except closing early afternoon May8), see then as will help you discover Langdonart magical paintings, each with 2 DIFFERENT landscapes for fun galore ! 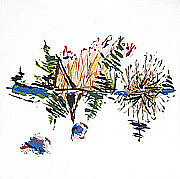 Am pleased to be a big fan of Artiste Langdonart creations of his paintings he has been creating for over 60 years and now will be showing recent ones April 18 to May 8th 2016 Langdonart paintings exhibition inviting you at Galerie2456, at 2456 rue Beaubien Est, in Montreal, Quebec, Canada; bienvenue, that's welcome and Langdonart will be happy to greet you! I collect Langdonart paintings and am glad of the appreciation valuation in the Fine Art World where his inventions on canvas has been exhibited in many countries in art galleries, art centres, in museums: United States (New York City, Los Angeles, Chicago, San Francisco...), Canada (Toronto, Montreal, Mays Art Gallery, and in many other galleries and museums); Belgium, Holland, Portugal, Spain, France (the prestigious Musee du Luxembourg and in may others in Paris, Musee Dumail,... plus many municipal art exhibitions) and now his next yearly solo in Montreal: April 18 to May 8th 2016 Langdonart paintings exhibition inviting you at Galerie2456, in Montreal, at 2456 rue Beaubien Est, - so come often and please do tell your friends too to see the wonderful intriguing Langdonart art show! 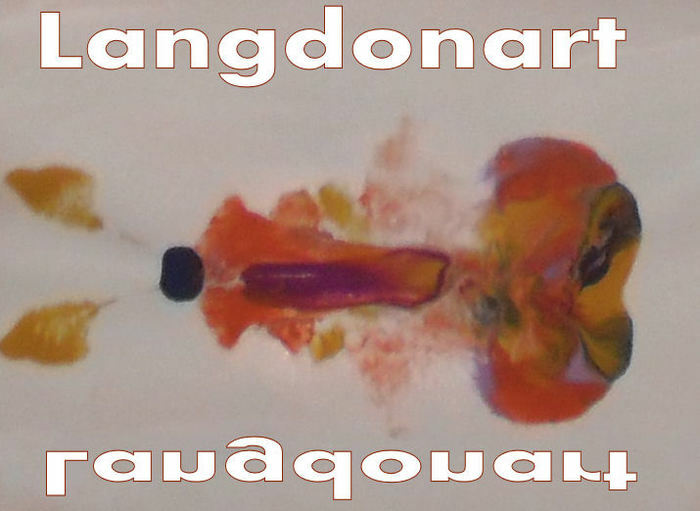 April 18 to May 8th 2016 Langdonart paintings exhibition inviting you at Galerie2456, in Montreal, at 2456 rue Beaubien Est, daily intriguing different Langdonart paintings unique creations for you to acquire and marvel ! 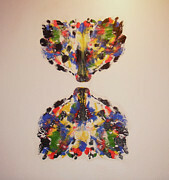 April 18 to May 8th 2016 Langdonart paintings exhibition inviting you at Galerie2456, in Montreal, at 2456 rue Beaubien Est, daily intriguing different Langdonart paintings unique creations for you to acquire and marvel like this Langdonart is it 2 wolves or a butterfly ! April 18 to May 8th 2016 Langdonart paintings exhibition inviting you at Galerie2456, in Montreal, at 2456 rue Beaubien Est, daily intriguing different Langdonart paintings unique creations for you to acquire and marvel like this Langdonart 4SeasonsView 1 and so check also View 2 of the SAME original Langdonart painting ! April 18 to May 8th 2016 Langdonart paintings exhibition inviting you at Galerie2456, in Montreal, at 2456 rue Beaubien Est, daily intriguing different Langdonart paintings unique creations for you to acquire and marvel creation: an Langdonart painting intrigue: is it an image of a Langdonart monster and does it become a Langdonart spaceship view 1 of 2 ! INVITING YOU ALL : Two LangdonArt INVENTIONS galore of paintings exhibitions from April 22 to May 12 2019 & October 7 to 20 2019 at Galerie2456, at 2456 rue Beaubien Est (2 simple steps left from Cinema Beaubien, facing Molson Park), in Montreal, Quebec, Canada ; for discovering, collecting LangdonArt magical inventions on canvas for our pleasures to collect. 2 expositions de peintures étant es INVENTIONS créées par Artiste LangdonArt 22 avril au 12 mai 2019 et 7 au 20 octobre 2019 chez la Galerie2456, au 2456 rue Beaubien Est (2 pas du Cinéma Beaubien, face au Parc Molson), dans Montréal pour découvrir et collectionner des magies sur toile créées par LangdonArt pour vos plaisirs.